Mumbai: Less than a month after it launched a market-making initiative to boost liquidity in derivatives, the BSE Ltd is set to provide incentives to brokers to get retail clients to trade in that segment. The bourse will pay roughly Rs100 to retail brokers for each client who trades derivatives for the first time on the bourse, an exchange executive said, which was confirmed by another official. Both officials at the 134-year-old bourse declined to be named because the scheme has not been made public yet. BSE’s spokesperson declined comment on the development. The exchange, Asia’s oldest, is also likely to tweak the recently launched incentive scheme for market makers to ensure consistent volumes across trading hours and to make it more remunerative to trade options. While index futures have seen a sharp rise in volumes in the past few weeks, options have lagged behind. Options are derivatives that provide a buyer with the right to bet on the price movement of an asset without placing the buyer under any obligation to transact in case the bet turns wrong. The seller of the option earns a premium paid by the buyer. Market makers provide two-way quotes on a contract. They are brokers who take the risk of holding a certain number of contracts with themselves to facilitate trading and, in turn, are remunerated by the exchange. Total derivatives turnover in the past week rose 40 times compared with the average daily turnover in the six months preceding the market-making scheme on BSE, and touched a record Rs1,600 crore on Thursday. The average derivatives turnover ofRs1,438 crore in the past week was roughly 62% of its cash turnover. BSE’s derivatives platform had been virtually lifeless since exchange-traded derivatives were introduced in India 10 years ago. 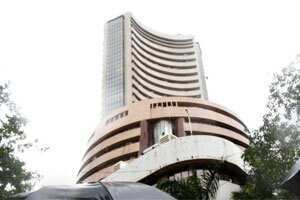 BSE’s younger and larger rival, the National Stock Exchange (NSE), enjoys a near monopoly in equity derivatives. NSE’s market share in equity derivatives, which was nearly 100% till a month ago, is now roughly 99%. Brokers and market observers welcomed the growth of BSE’s derivatives platform saying it will spur innovation and drive healthy competition among exchanges, but cautioned there are several challenges for BSE, and it is still too early to predict the outcome of it latest initiatives in derivatives. “BSE’s ascendancy is a positive development, but it will take several years to catch up with NSE," said Hyderabad-based Rajesh Chakrabarti, associate professor of finance, Indian School of Business (ISB). “Besides, as BSE gains market share, one would expect NSE to come up with similar schemes." The market is likely to gain though. Investors stand to gain from such competition as it will keep transaction charges in check and allow them more choice, Chakrabarti said. “These moves are welcome steps and will encourage a few investors but to build a retail investor base, the exchange will have to sustain the momentum in volumes growth," said Vinay Agarwal, executive director, equities broking at Angel Broking Ltd. “These are early days yet and many investors will prefer to wait for a few months till they see high liquidity on a consistent basis." BSE’s key advantage lies in the fact that its benchmark Sensex index is widely tracked across the globe by investors. So far, it is just Sensex futures that have attracted liquidity. “Spreads have fallen to 1-2 points, or 0.0001%, on Sensex futures during peak hours of trading," said Alok Churiwala, managing director of Churiwala Securities Pvt. Ltd, a Mumbai-based proprietary trading firm, which also has retail clients, and is a participant in BSE’s market making scheme. Index futures based on the 30-share Sensex account for roughly 90% of the total derivatives turnover on BSE, with index options and stock derivatives accounting for the rest. This is contrary to the industry trend where index options have outpaced futures and account for the lion’s share of the total derivatives pie. Index options as a percentage of total derivatives turnover of NSE has grown nearly 30 percentage points in two years to 73% as they attract lower taxes. Index options turnover has averaged Rs93,039 crore on NSE this year, while index futures saw an average turnover of Rs15,726 crore. BSE’s incentives to options traders is based on the premium on options rather than on the notional turnover and is inadequate,?many?brokers said. The bourse is considering ways to make the incentive scheme more attractive for options traders, said the executive quoted above. “It is a challenge to minimize risks and ensure sufficient interest at the same time." The bourse is also planning to split its market-making scheme for different trading hours instead of allocating limits for the entire day so that trading momentum does not die down in the later hours. Futures traders under the current scheme are not incentivized for any trades once futures turnover on the bourse crosses Rs1,000 crore, and that slows the momentum. This might change once the incentive scheme is tweaked. The growth in derivatives volumes in BSE is commendable at a time when markets have been utterly listless, but there are several challenges ahead, said Churiwala. BSE’s success so far has been thanks to market regulator Securities and Exchanges Board of India’s (Sebi) decision to allow incentivized trading in illiquid derivatives in June. The key challenge for BSE will to be to raise the proportion of non-incentivized trades and the ability of the bourse to attract a wide variety of investors. Most of the derivatives trading on the bourse have been incentivized so far. Sebi has allowed incentivized trading only till six months a period which might be inadequate to build sufficient volumes, several traders said. “Retail investors would continue to trade derivatives only on NSE till they see a similar liquidity on BSE," said Karan Mutha, head of equity and derivatives advisory at HSBC InvestDirect Securities (India) Ltd.
Ashwin Ramarathinam contributed to the story.